Men's Stainless Steel Watch Just $26.99! Down From $100! PLUS FREE Shipping! You are here: Home / Great Deals / Amazon Deals / Men’s Stainless Steel Watch Just $26.99! Down From $100! PLUS FREE Shipping! Men’s Stainless Steel Watch Just $26.99! Down From $100! PLUS FREE Shipping! Valentine’s Day is near! Surprise your beloved with this elegant Men’s Stainless Steel Watch which is now on sale at Amazon for only $26.99 down from $99.99 PLUS FREE shipping! It’s a high quality black stainless steel band with double push button clasp. It’s classy and elegant look makes it perfect to wear on all occasions! It’s makes a perfect gift! I’m sure this won’t disappoint you. 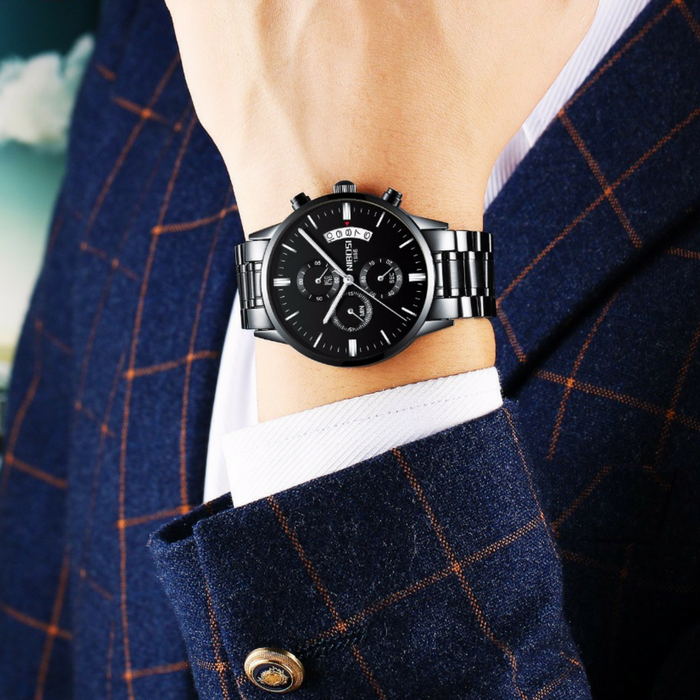 GIFT IDEAS: Sporty watch with elegant box is a great gift choice to your loved ones for Christmas, birthday, anniversary, Father’s Day, graduation and Valentine’s Day, Or as a business and party present.